Take your sweet tooth to an exciting and unique sugar rush experience with Krispy Kreme’s Perfect Summer Pair! As summer heats up, most foodies just want to chill out. And what better way than with a deliciously sweet perfect pair treat? 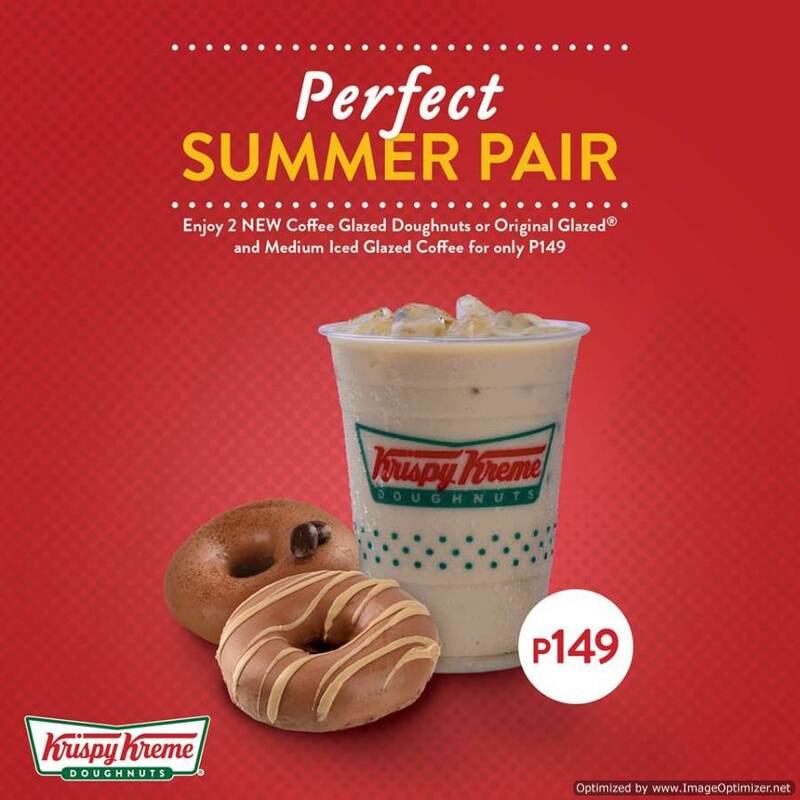 Bring those confectionery cravings to selected Krispy Kreme stores and find that perfect summer dessert for you. Beat the heat with their Perfect Summer Pair Promo available until April 30, 2018. Enjoy two (2) NEW Coffee Glazed or Original Glazed Doughnuts with Medium Iced Glazed Coffee just for only Php149! * The promo is not valid with other promotions and discounts. * In the purchase of good and services which are on promotional discount, the senior citizen can avail of the promotional discount or the discount provided under the Expanded Senior Citizens Act of 2010, whichever is higher.Per DTI-FTEB Permit No. 6219 Series of 2018.